In January Philips nearly totally revamped its Xenium range by introducing a number of long-lasting models for various price-brackets. 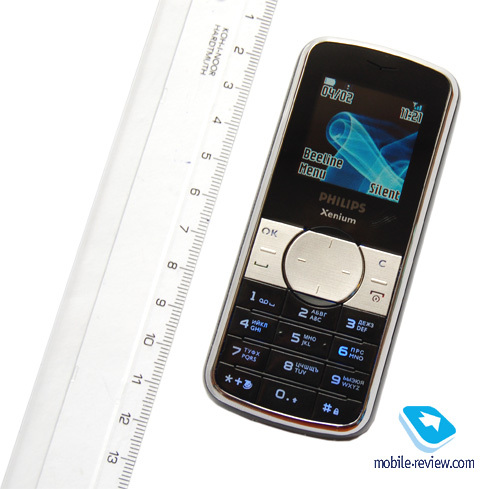 Philips 9@9f, the junior product of the line, is in fact an upgraded version of the 9@9a. 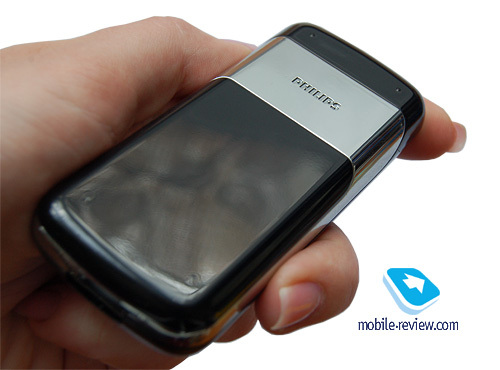 The handset’s design changed considerably, though – specifically the casing became more stylish and “luxurious”, battery was replaced by a less capacious unit (950 mAh instead of 1200 mAh) and the handset had definitely been put on a diet with its 20 g win in weight. Much like the senior model, Philips 9@9g, the 9@9f comes only in black. The reason hasn’t changed a bit – the handset is targeted at business-users who are not very keen on their handset’s functions but assign primary importance to battery life. The 9@9f’s casing comes in candy-bar form-factor with a tad smoothened edges. The design looks stylish, austere and very neat. Thanks to the combination of black glossy plastic with glittering metal frame covering the entire front fascia, the 9@9f appears much more expensive than its price-bracket suggests. On the back plate you will notice a large metal inset (with the brand engraved on it) which turns into a metal rim edging the lower part of the casing. Faced off against the 9@9g the handset seems smaller-sized, even though its dimensions prove to be nothing out of the ordinary - 100.7х44х15.7 mm at 77 g weight. The build quality is very fine, the same goes for the materials used: all details are made to last, plates are well-attuned to each other, the plastic doesn’t bend or creak, and there are no unnecessary gaps between parts either. The spines are free of any jacks and keys, only on the top plate you will find the holes for a carrying strap and flipping over to the bottom reveals the charger jack. The face plate is traditionally divided into two parts: the display and the keypad. The buttons are arranged into two sets not only visually but also by the design. The functional keys, as well as the navigation pad are composed by three panels (each of them holds a couple of merged buttons) made of silver matte plastic. The keys are not very comfortable in use – providing you with easy press action, yet without proper separators not guaranteeing you absence of wrong presses. Apart from that, you have to get used to the missing Accept key within the navi-key. Personally I would call it a wrong move - everyone has already got used to joysticks and five-way navigational keys so you can barely find anyone who wants to remaster this way of device management. As for the numeric keys, we have no quibbles – rectangular buttons are clearly set apart, have short, yet noticeable travel, which prevents you from pressing wrong keys. 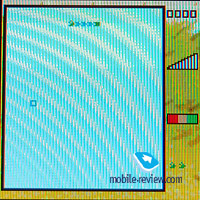 Like the 9@9g, the display and the field around it are covered with a layer of glossy plastic. 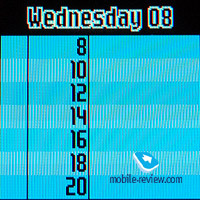 But unlike the latter, the 9@9f’s screen is visible even with the backlighting turned off. 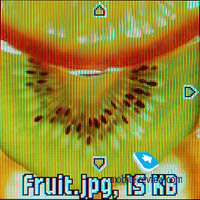 It employs OLED-matrix with 128х160 pixel resolution (29х36 mm) and shows up to 65 K colors. Unfortunately there is nothing superb about it (even at the top level of backlighting OLED-matrix looks dimmer than TFT), though it is pretty easy to use. In the sun picture gets heavily washed out becomes hardly legible. But it is quite an acceptable price for very long battery life. 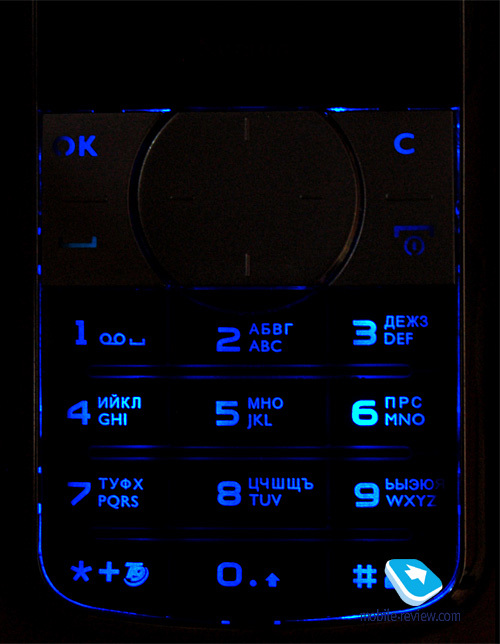 In menu as well as in messaging mode the display accommodates 6 text lines and 1 service line, up to 4 text lines and 1 services line – when dialing. In spite of the fact, that functionally-wise the 9@9f is inferior to the senior model with “g” index, it utilizes the same 950 mAh Li-Ion battery. According to the manufacturer the handset can stay online for a month in stand by and provide up to 8.5 hours of talk time. 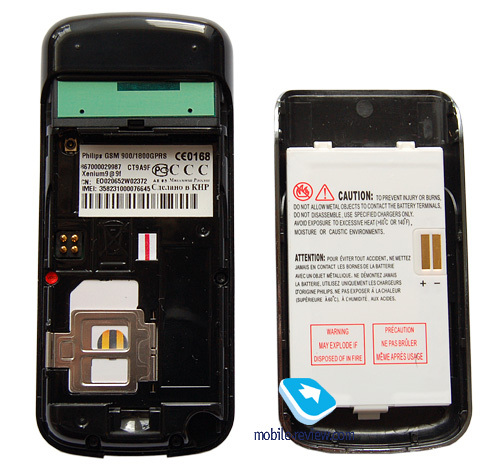 In the conditions of Moscow networks at heavy usage mode (an hour of calls, and about 4-5 hours of gaming and other functions use) the handsets lasted for about 7 days. It takes the 9@9f about 3 hours to charge from empty to full. 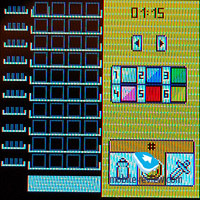 The main menu contains a 3x3 grid of icons, which gives us 9 items in sum. The way icons are designed is not the most brilliant we’ve seen so far, yet they are animated – animation launches when you pick one or another item. To move about the menu you may use both the navigation key and numeric shortcuts, the latter way is quicker and more comfortable. Moreover numeric keys may be used as shortcuts to applications (press and hold the key). At that you are free to reassign the actions for most of them. 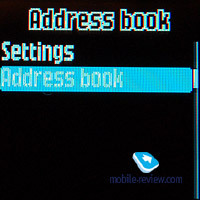 However, “1” is already booked for voice mail, “9” – for Java, “0” brings up the WAP-browser, while “#” locks the keypad. Phonebook. With 9@9f phonebook you can’t use contacts from phone and SIM-card memory simultaneously, only one type of memory is available at a time. For contacts the handset has 1000 slots in memory. At that for one contact only one data field adjustable by type can be submitted (mobile, home, work, fax, data, pager, e-mail, note), however you are free to create a number of entries with the same name. Right here you are offered to bind up the contact with one of the 6 groups. 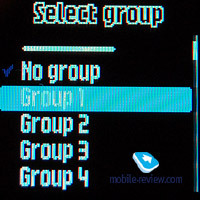 To each group you are free to assign the name and set a picture or a ring tone. 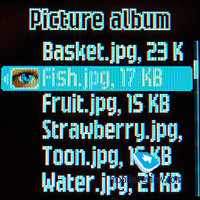 You can not assign pictures or tunes to stand-alone contacts. Call lists. 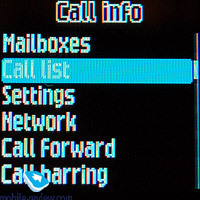 There are five call lists available in the 9@9f: missed calls, received, outgoing calls, with each having an own icon. For each entry caller’s number and name (if it’s on the contact list), date and call time are saved. Messaging. Messaging department of the 9@9f is divided into three categories: SMS, MMS and E-mail. 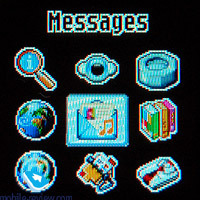 Creation of SMS and MMS is quite straightforward, as the interface is pretty standard. 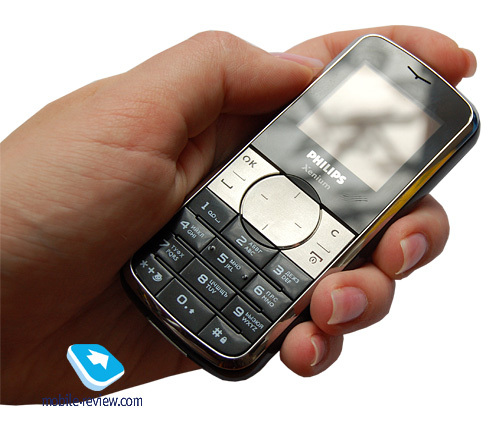 For an SMS you are free to add only text smiles from the list, and MMS, as usual, allows you to attach animation, pictures, video and tunes. 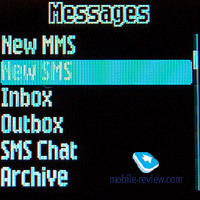 Ten SMS templates are available, MMS templates are empty but you can create some of your own. Predictive text input T9 is supported. Games and apps. 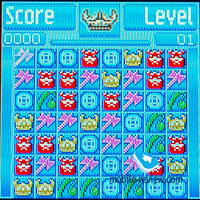 Here games and Java-applications are collected. 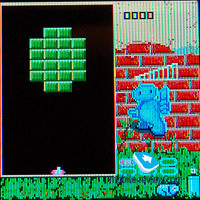 In Games you may find simple archanoid called Brick game, 2D “Snake” and the game under the name “Mastermind”. 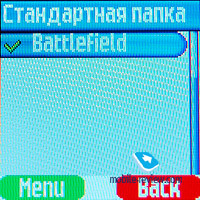 The game Battlefield that you may find in a great number of Philips-branded handsets is included in Java applications. Organizer. . Philips 9@9f’s organizer is quite simple but yet well packed; it offers you a set of standard programs which are implemented in a convenient fashion. 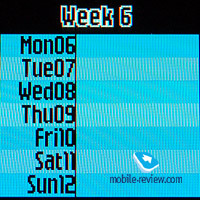 Calendar may be viewed in monthly, weekly or daily mode. 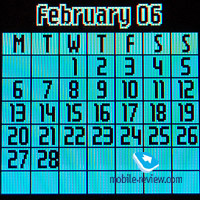 You are enabled to plan a schedule for a day. 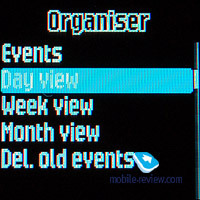 The events can be one of three types (Holiday, Meeting and To do), inside you can punch in all the necessary information (name, place, date, start and end times, repeat- mode – once, daily, weekly, monthly, yearly) for each of them you can set up a reminder if necessary. 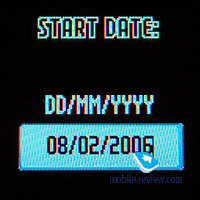 A handy function with the help of which you can delete old notes made before a certain date (the date can be set up manually) is implemented in the 9@9f as well. Opening Alarm Clock section you will find three alarms in there, each can be set up to trigger off at certain time and made recurrent: once, daily and on work days. 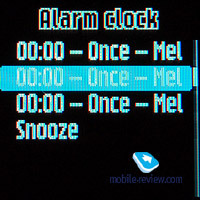 Snooze function is also here but you’ve been made incapable you modifying it manually. Calculator is pretty simple and can offer you only a set of the most essential options. Media Album. . 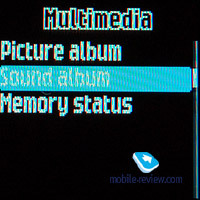 In this menu item you will find audio tracks and pictures gallery, as well as TV Slideshow function. Inside the album all files categorized you can view all files, preinstalled, own, etc. 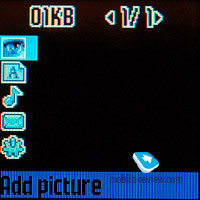 Pictures can be displayed in a list or you may view them slide by slide (image takes up the entire screen), at that any of these modes is only one press away. As for audio gallery drawbacks, it initiates playback of the first track when you enter it. 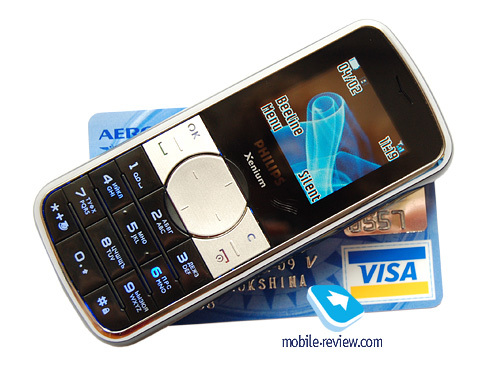 For data storing purposes the handset is provided with 1,8 Mb of dynamically distributed memory. 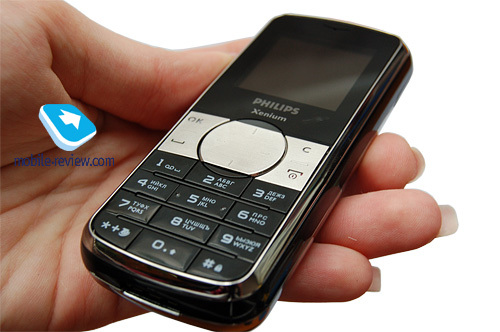 And one more shortcoming – the handset lacks MP3 support even for ring tones. With the 9@9f you are capable of playing back midi-files only. Profiles. 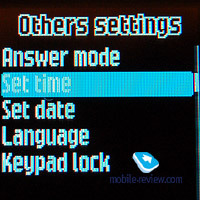 The manufacturer wasn’t generous enough to equip the handset with profiles, so only silent mode is available. But the silent alert can trigger off together with ring tone. 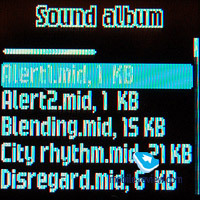 Tunes cannot be used for incoming message alerts. WAP-browser. There is nothing off-beat with WAP-browser capabilities; using it you can open both WAP and small HTML-pages. Settings. 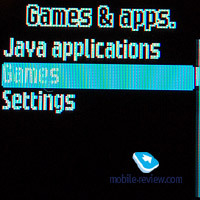 This menu item is divided into 5 categories: sounds, display, other settings, shortcuts and security. 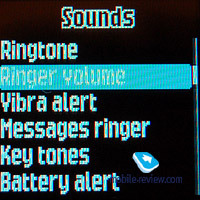 All settings are standard, in sounds you may choose ring tone, key tone as well as switch on\off low battery alert. 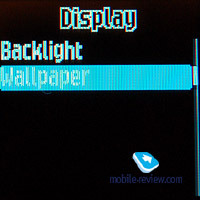 In display settings backlighting brightness can not be changed you can only set its duration and the wall-paper. In terms of reception quality the 9@9f does the job, when tested, the handset delivered no problems. You hear quite clearly what the person on the other end says, comparing with the 9@9g, the handset’s speaker is louder thus even in noisy rooms we encountered no problems with talking. 64-chord polyphony sounds good enough but at full blast it starts breaking down. 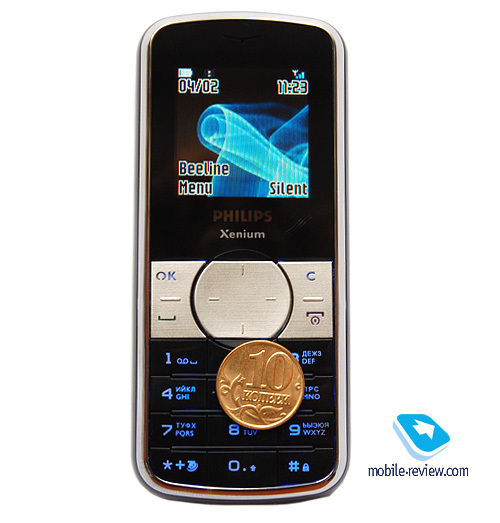 The speaker volume is not sufficient so you have nothing to do but hope that silent alert works well, since in Philips 9@9f it can be used together with ring tone, thus it s next to impossible to miss it. The device has turned out to be a quality thing for its price-bracket. Of course, it possesses such drawbacks as absence of MP3 support for ring tones etc., though for the handset retailed for 130 USD, the suite of features is pretty much OK. And minor drawbacks are fully outweighed by the stylish design and groundbreaking battery life. 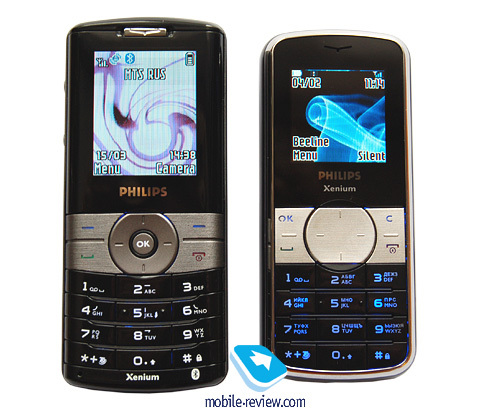 This model has no direct rivals as of today; indirectly it will compete only with other models belonging to Philips Xenium line-up.